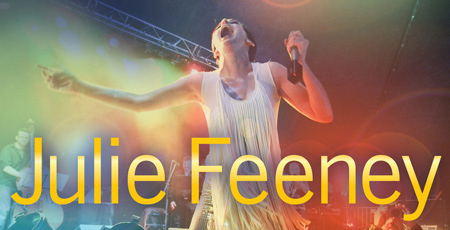 "Blending the pop ambitions of Gaga with Elvis Costellvian wordplay"
Stylish, dramatic, chamber-pop singer and composer Julie Feeney will transform the Irish Arts Center in an innovative pop and theatrical live show with an ensemble of singers, strings, accordion, recorders, pianos, and trumpets. Co-directed by PS122 Artistic Director Vallejo Gantner. Don't miss this powerhouse that The New York Times calls "charming, urbane and dreamy".